If you're grilling mahi mahi, then this marinade will add flavor and stop it from drying out during grilling. 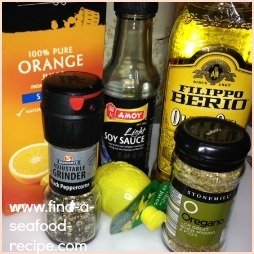 You can use this marinade on shark, tuna, marlin etc. 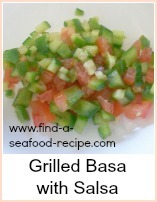 It's great for barbecues or grilling indoors and you can whip up the ingredients in seconds. 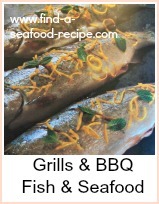 Whilst the fish is marinading, you can prepare some salad and new potatoes to go with the meal and make sure your coals or grill is good and hot. 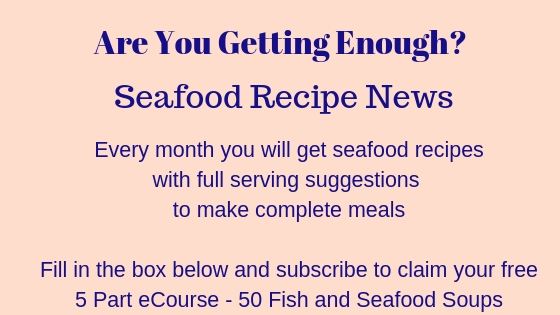 Mix marinade and prepare 4 Mahi-Mahi steaks. Marinate steaks for 30 minutes. Broil steaks, using marinade to keep moist. Make sure your grill is hot and then cook for about 10 minutes in total, turning the steaks frequently. Each time you turn, you need to baste with the marinade. I have a pastry brush that I use just for brushing fish when I'm grilling - they're only cheap and you won't transfer the taste of fish. Now - how simple is that? 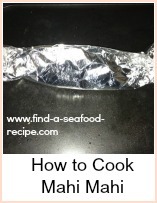 I would serve it with some baked potatoes and a salad for a lovely easy seafood meal. Fish is a good source of protein and mahi mahi is low in fat which makes it a good choice if you're trying to watch your weight.